Three is a special Angelic Number in that it represents the Trinity, not only in Divine form but also our human triune nature of body, mind, and spirit. Triple three tells you that God and the Angels have surrounded you, offering protection and assistance. But what else does the appearance of 333 reveal? Read on to find out more! Some Light Workers believe that double three is the number for Jesus and that 333 indicates that Jesus is stressing the Angelic message you’ve received. Specifically, when 333 appears after praying, your request has been received, and soon an answer comes your way. Angel number 333 represents spiritual growth and perfect love. Love doesn’t simply mean others, but yourself. Let your Higher Self and the Holy Spirit whisper their lessons. Embrace the beauty of your soul. “Three” alone has special significance in Pythagorean math. It is the only number that is the sum of all numbers preceding it. Taking that further, 333 becomes multi-dimensional, creating a highly realistic image of Angelic communication. In fact, some people report a vision of Angels when this number shows up repeatedly. Another meaning for 333 is that of encouragement. Whatever you feel bound by will be freed. Angels assist you. Your job is communicating your needs effectively. Consider that in Morse Code three dots, three dashes and three dots mean SOS! The Ascended Masters may also be coming into your spiritual circle as teachers, guides, and healers. This experience is truly spectacular to the point where it’s hard to convey in words. The golden light of truth, compassion and peace radiate from the Masters down into your very soul. If you felt like you needed encouragement, you now have it in spades. Angel number 333 sometimes represents your present, past and future – and more specifically how they affect each other. The message here is live in this moment. The lessons from the past remain with you but need not bog you down. The future comes with hope on its wings. Look forward and upward. Three Threes creates a bridge between your thoughts and dreams and putting them into an active form. Whatever you’ve pondered over heavily of late, this is like the Angels opening the door wide and saying, “come on in!” If you can think it, you can do it. Creative vibrations surround you abundantly. Have you ever deeply wanted something from the Other Realm? Reveal that wish, respectfully. Watch what wonders happen. In meditating on the meaning of 333, consider shapes like the Pyramids or a Triangle. All sides are equal; all are in balance by necessity. You are that shape energetically inside and out. The Angels are here to assist you to obtain true symmetry. You are becoming whole and unified within yourself, and also with the world around. There is an intense awareness that it is our duty to care for all levels of our being and our planet’s well-being to move into higher vibrational frequencies. Angel Number 333 challenges us to reject negative thought forms. The more we dwell on these, the more they become a dis-ease (hyphen purposeful) that changes your cellular and auric structure on the most minute levels. Over time this causes damage to your spirit and may manifest in chronic illness. The Angels do not want to see you fall into that pattern. Rise above it. Become one with joy and positivity. Angel number 333 is like a match to a waiting spark. You are about to grow, but first, forgive yourself for any previous failures. Accepting blessings means accepting that you are human and capable of flaws. Learn from them. Release that which does not bring pleasure and joy. Angel Number 333 pulses with the Divine design of all things throughout the universe. You are part of the sand and stars. You are within the heart of the Angels and God. Remember this – you are never alone. This moment of awareness may seem overwhelming, so take time to integrate it. Anything worth learning is worth a little extra effort. None of us arrive at enlightenment overnight, and sometimes not even over a lifetime. Be patient and gentle with yourself. Let’s look at this from a more concrete vantage point. We know the Angels are telling us to focus on our body, mind, spirit, and the balance between the three. How do we approach this through a simple, forthright activity? One option is asking yourself simple questions and then write down the first three answers that come to mind (three, threes!). What do you feel your spirit most needs right now? How about your body? Don’t forget to ask the same question about your mind. You now have nine goals. Put them in order of importance and work on the first in all three categories until you can check it off the list. Go on to the 2nd and 3rd. You will find this activity pretty enlightening. Most people don’t realize how much they intuitively know about three-fold needs. The Angels have cleverly crafted 333 to have a plethora of benefits. When you see it, you know, the Angels are offering assistance and reaching out for communication. You also know that your energy levels and inspiration are about to blossom in amazing ways. You may find yourself feeling wholly free for the first time in your life. Your sense of humor expands with your visionary sense. Additionally, cultivating kindness, hope and self-expression are part of this process. 333 is not a solitary number. You will be involved in a lot of social forays that while very enjoyable also have a lot of synchronicity involved. Enjoy the spontaneity of it all. If you think of 333 as 3x3x3, you can begin to see the energy of increase and abundance. And as 333, this growth won’t only be financial, but mental and spiritual. Your mind and heart are about to be open in ways you once thought impossible. 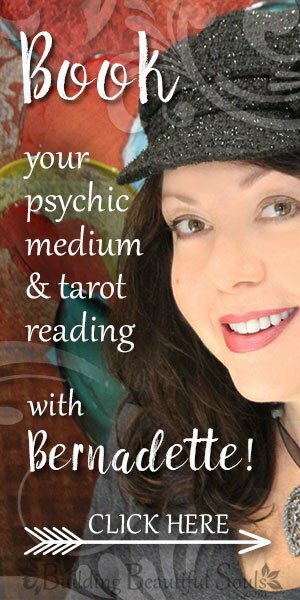 Because of this, the Angels and the Divine can really drive their messages home so you can implement them in daily experiences. The Number 333 comes as a sign helpful powers are nearby to help with your prayers. Your plans are going well, and an energy boost is on the horizon. Keep working and trusting. There are always times when life gets bumpy, and some things are out of your control. Don’t give in to pessimism. Choose to think and live differently, and when you struggle, reach out for that aid. Where there once was two, now there is three. The next step in your relationship can mean many things. Maybe you have contemplated having a child. Or, perhaps it’s house buying time or another big project that matters to both of you. Whatever the movement, it’s a welcome and necessary change that takes your interactions to whole new levels. On a day-to-day level, the outpouring of love you receive in your life is astounding. Friends, co-workers, an uncle you have not heard from in years – people seem to shower you with energetic hugs. Let that soak in. There is an old wound that this helps heal. It is sometimes difficult to accept help but realize eventually you will be able to return the favor from a place of wholeness. Numerology tells us that triple digits emphasize the base digit that repeats. In this case, 3 represents harmony, happiness and being around people who are healthy for you. Keeping it real is certainly part of that equation. Number 33 is also a Master Number. It is very upbeat, artistic, devoted, and sensible. Overall 33 brings a heightened level of self-expression without being self-righteous or meddling. Your quest for perfection is personal, as is everyone else’s. So, with 333, you get a healer archetype and a visionary. It takes pacing and training to reach there. Like any fire, you don’t want to burn out before that light illuminates the darkness. Biblical scholars teach that 333 is the number of perfection or completed cycles; this is founded on the significance of the single digit here – God offering King David three choices for punishment – 3 years of famine, three months of war or three days of plague (on the downside) and Jesus rising from the dead after three days are two examples. One more is the fact that Jewish temples have three parts (and there are three temples mentioned in scripture) – the outer, inner, and most holy place. In the Tarot 3 is the Empress – a woman filled with abundant energy, fertility, and upward mobility. That’s significant when 333 keeps repeating. You are shifting in a whole new gear with an emphasis on forgiveness, enrichment, social awareness, honesty, and faith. Each of us has a soul mission or contract under which we work and play. 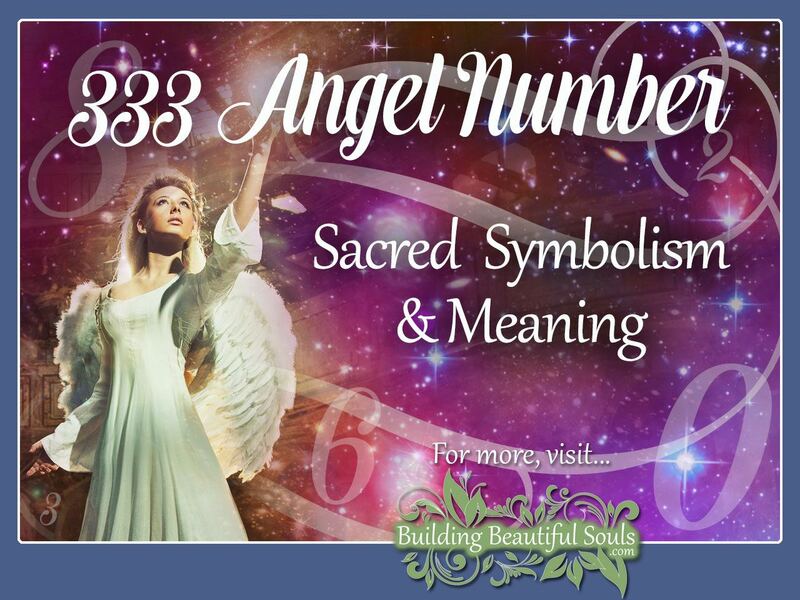 Angel Number 333 reminds us of this very important factor with the extra awareness that you’re getting help from the Masters in clarifying details. The Angels encourage you to use your natural capabilities for rounding out your life’s efforts. If you have ever considered following the path of Lightwork, now is a great time for that beginning. Your inner peace and strong faith make a fantastic foundation. You have everything you need for the transformation into a spiritual firecracker! The Angels don’t lie. Let’s review the abundant and wonderful vibrations of 333. Here the Ascended Masters and Guardian Angels have surrounded you with energy from the Universe. That is one of the reasons Angel experts often call 333 the Jesus link. There is abundant power at your fingertips, but it comes with responsibility. Proceed with self-confidence, trusting your Angels guidance, and relying on inner truth before wielding your will. Yes, you will sometimes make mistakes, but 333 says to forgive, grow, and move onward. When you learn your lessons, you make room for greater abundance in your life – be it love, money or harmony. Right before encountering 333 you may have felt like you were walking through mud. Your soul was heavy and confused as to how to proceed. Then Angel’s message comes through, offering hope and reminding you of all the glorious potentials you have in your spirit.